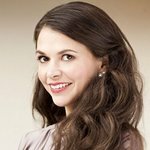 The ASPCA today announced that actress Sutton Foster and model Irina Shayk will co-host the 2015 ASCPA Young Friends Benefit on Thursday, October 15, 2015, at the IAC Headquarters in New York City. The event helps raise essential funds to aid in the ASPCA’s work to protect the lives of vulnerable and victimized animals across the country. This year’s event will feature cocktails, hors d’oeuvres, a silent auction and music by MAY KWOK. The event is made possible through the partnerships of kate spade new york, Aviation Gin, Firestone Walker Brewing Company, Foto fwd, Dear Liza’s Custom Cookies & Deserts, Suvretta Capital Management, Tito’s Vodka, and UBER. Paul Arnhold, Lo Bosworth, Alessandra Codinha, Amanda K. Ruisi, Kimberly Thier and Kelly Vitko are this year’s Young Friends Event Chairs. The Honorary Committee includes Georgina Bloomberg, Katrina Bowden, Kelly Framel, Wes Gordon, Perez Hilton, Patina Miller, Jackie Miranne, Alicia Quarles, Allie Rizzo and Scott Sartiano, Jessie Schuster, Christian Siriano and Brad Walsh, Jessica Springsteen and Domingo Zapata. The Young Friends Benefit is a cornerstone of the ASPCA’s fundraising efforts to directly impact the lives of homeless, abused and neglected animals across the country. This highly publicized event attracts more than 500 passionate and upwardly mobile young professionals including philanthropists, industry leaders, newsmakers and animal lovers. To learn more about the 2015 ASPCA Young Friends Benefit, and to purchase tickets to the event please visit www.ASPCAYoungFriends.org.